Is the league just carrying over from last season? If so, I was in last season so gather it just carries over and I don't need to join again? Really hard to pick a Man City. Only confident about De Bruyne's minutes but there's another 5 or 6 good options around that price. I'm in, can't wait to completely forget about it midway through the season and give up again. Jesus being £10.5m is a disgrace, mind. But he died for our sins. Current line up I've gone for, sure I'll tinker it beyond recognition before the season starts. Would like to get Milner in defence but not managed to free up enough cash. You have 2 players the same as my initial team. Not sure if good or bad. They'll be the bad ones. Lukaku and Luiz, wouldn't be surprised. Certain in my team. Should be the most expensive based on his stats last season. 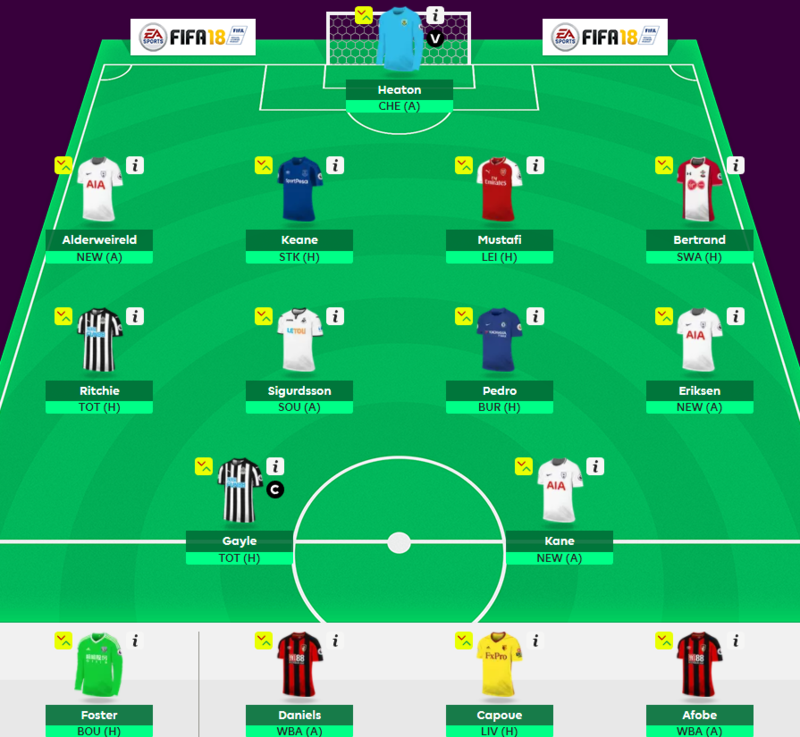 I've gone for Aguero, reckon people might overlook him a bit cos Jesus and Lacazette are cheaper, the injury stuff and the fact Kane was on fire at the back end of last season. Loses value for being a certified nonce though. I can't decide on a team that I don't hate. Might sack this off already. They've added Siem de Jong in midfield for only 5.0m. Potential. Looks a good idea at the mo! Fit, creative, little competition. Morata at £10m is intriguing. Myself and my son giving this a go this year. With those opening fixtures. Nah. I wish Sanchez was being sold, can't fit him in. I wouldn't try to fit him in. Won't be scoring as many points now with Lacazette in the team and doubt the effort will be there either if he ends up staying. I've gone for Lacazette anyway, think he'll fill his boots. If you take Gayle then other strikers become more affordable. Just Lukaku vs Kane for the other choice. Page created in 1.067 seconds with 22 queries.